Nettle is a leafy plant that is found in most temperate regions of the world. The Latin root of Urtica is uro, meaning “I burn,” indicative of the small stings caused by the little hairs on the leaves of this plant that burn when contact is made with the skin. The root and leaves of nettle are used in herbal medicine. 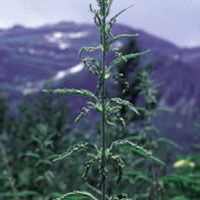 Stinging nettle enriches and increases the flow of breast milk and restores the mother’s energy following childbirth. Nettle leaf is rich in calcium and iron and is mildly diuretic. It enriches and increases the flow of breast milk and restores the mother’s energy following childbirth.